The winter seemed eternal this year. Only in mid-April did spring’s first tentative harbingers arrive—daffodil buds, pollen, temperatures in the 60s. Martin stopped playing his toy saxophone and looked at me. Martin still made no verbal response. But after another second passed, he looked at me again and nodded. Twice. This time—his nonverbal response to, “What do you think? Shall we let some air in?”—was the first time I’ve witnessed Martin nodding unprompted. The nod was awkward, as they always are. I didn’t care. Then I opened the sliding doors, and let the fragrant springtime air drift through our home. Daffodils (and those pesky dandelions!) bloom in our front garden. I’ll nod to that. 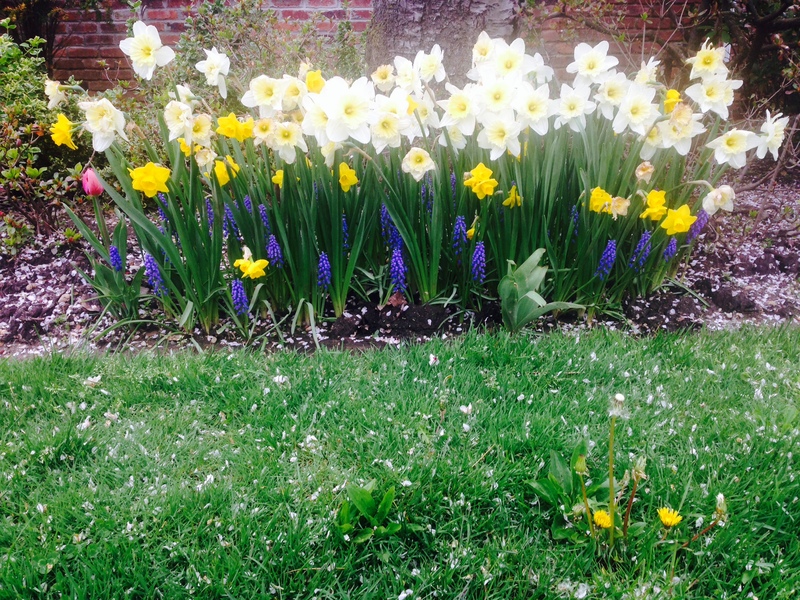 This entry was posted in Milestones and tagged ASD, autism, nod, nodding, rdi, recovery, springtime by findingmykid. Bookmark the permalink. I am just loving these “firsts” posts. It is so very important to be able to see progress in little bits and pieces and to be able to revel in them while you can!